A Romance between Biology and Chemistry – Protein Sequences, Molecules and Enzyme function! Next Generation Sequencing (NGS) data is knocking at our door and simultaneously, our ability to design novel enzymes (rational design or directed evolution) using high throughput methods has improved tremendously. As a result, the demand to link enzymatic sequences to their chemical products and metabolic pathways is ever increasing. On the other hand, the push to generate Metabolomics data to design Biomarkers, understand Toxicity, Functional genomics and Nutrigenomics has given researchers a run for their money! Last year we launched EC-Blast (my old post), a robust tool to compare chemical reactions using chemical knowledge of bond changes, molecule molecule pair (MMP) and molecule substructures. This tool helps plough through and understand the reactions present in the Enzyme Commission (E.C.) classification. This has generated a lot of interest in the research community and industry to revisit and mine the knowledge which might have been overlooked by traditional methods. 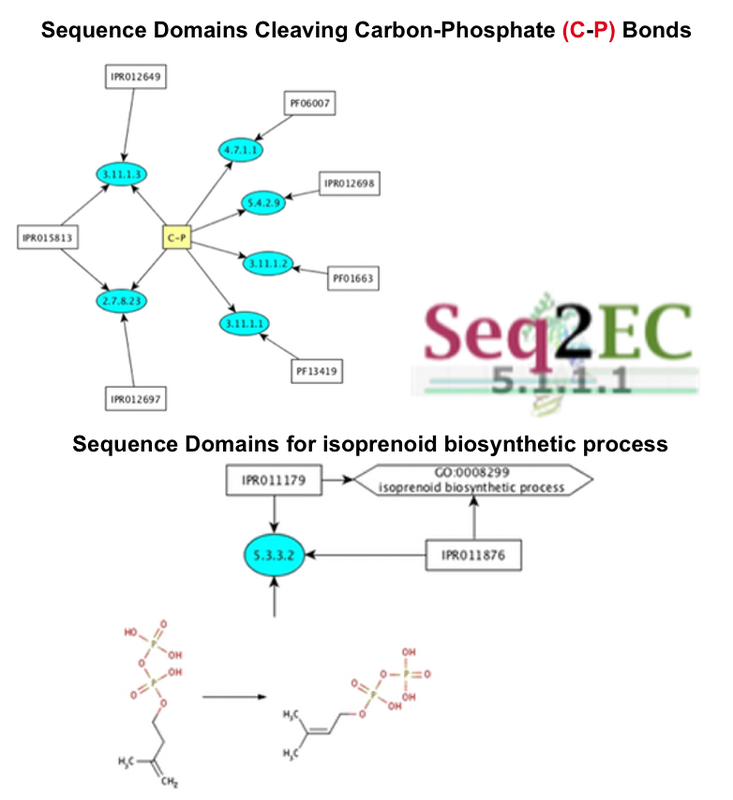 Feedbacks from our users strongly suggested a demand for tools/methods to systematically link the protein sequences to the knowledge of bond changes, molecule molecule pair (MMP) and molecules substructures. Detect novel enzymatic genes- test if a sequence has potential enzymatic function. Predict GO terms, E.C. number, bond changes and MMP from a protein sequence. Predict potential genes and protein domains from chemical bonds (e.g. O-C, O-P formed or cleaved). Download and run locally (fast) – contact me! The tool reports a star ranking schema (Table 1) for predicted enzymes which is based on the statistical confidence of finding domains, bonds, catalytic sites etc. Please go ahead and test your favourite sequence(s) or chemical changes and send me your feedback/comments!